I want to say something here about a couple of instances that I've come across recently of managers doing things to build their own learning. I'm not saying that this represents any kind of widespread trend, but I am noticing the fact that it is happening and therefore it's worth noting and sharing. Both examples are from the same company. What's of interest is that this is a bottom-up approach kicked off by a manager, with an interest in the field of leadership and management, and dubbed 'learning leaders'. This practice is now being followed and adapted by a colleague in the same business unit. The group is meeting once a month for about an hour or two outside of the normal office hours. There is a selected topic and book/video or podcast. The group reviews, analyses and discusses the things of interest that arise from the reading. There are several positive benefits of this approach. I like the responsibility that's being taken to follow personal learning interests rather than waiting for L&D to decide what should be learned about. I like the collaborative and social learning process. 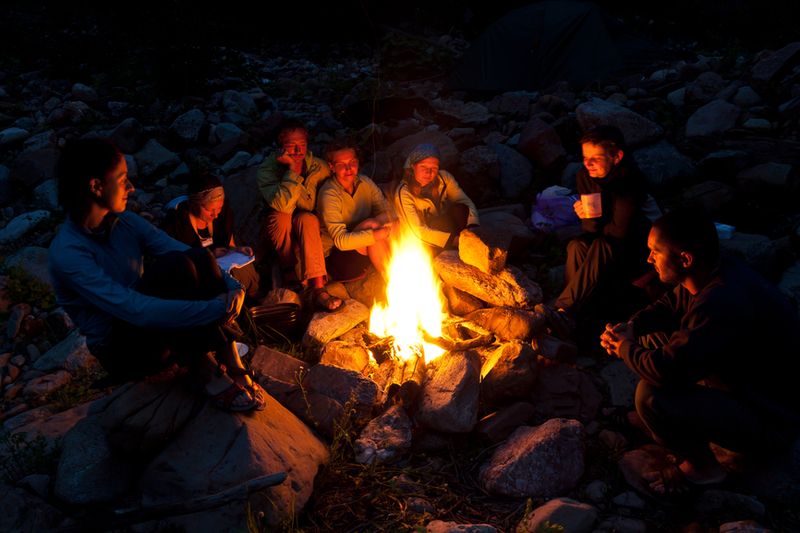 Sharing stories and insights is the equivalent of sitting around the campfire; it's enjoyable and the insights shared spark ideas and suggestions for action and further learning. It's also encouraging managers in other teams to do something similar. What are the other possible ways in which this kind of self-directed, practice-based development might be expanded? As well as meeting to share insights and stories in, say, an operational and hierarchically organised team, it's also an opportunity to encourage each 'learning leader' to identify and follow their own learning interests; to become a node in a network of learners and to develop their own branching networks of interests that are independent of the operational team. Writing is an extremly powerful learning tool and social tools like blogs and micro-blogs really do help capture the flow of learning, if not quite in real time, pretty close to it. And the sharing of this flow of learning is very useful and helpful to others. This includes those who might have been at the same meeting - it's always useful to read others' perspectives - and those who couldn't make it or weren't invited. If it's useful, then why not share it? Jean Lave and Etienne Wenger's Situational Learning Theory showed how midwives and tailors, for example, learned their trade by what they termed legitimate peripheral participation, i.e. participating in the act of learning the skills of the trade. Much of what managers do isn't so easily available for learning in this way because it takes place behind closed doors, e.g. in 1:1 or team meetings. I'd like to see much more use made of digital video recording and making this available as a piece of primary learning data in much the same way as, say, a formally designed learning video. The benefit of this would be that a learning group could really focus on their specific in situ and in vivo learning. Providing a platform from which they can then develop and follow their learning interests.